Pluralsight - Introduction to Game Development with Unity (MP4) | Free eBooks Download - EBOOKEE! 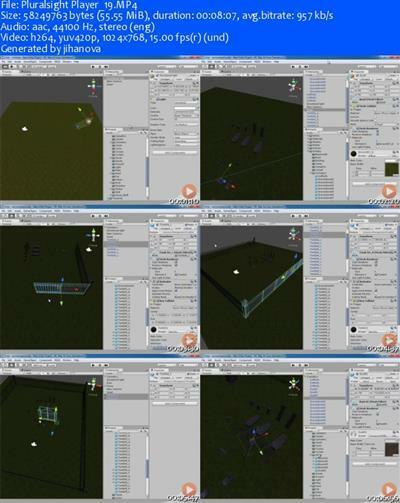 Learn to develop a high-quality 3D game for web, PC, Mac or even Linux using Unity. Game development can be fun and very rewarding when publishing a hit game to the iOS App Store or Android Market. Learn how to make a high-quality 3D game ready for publishing to the App Store or web in about 3 hours. Discover agile game development design principles and practices geared towards Unity and .Net. Learn how to create, acquire, modify and integrate AAA quality assets such as sounds, music and 3D models. By the end of this course, you will have a survival game which you can publish and play with your friends and family or continue to develop into your own custom creation. Some C# and .Net experince recommended. No comments for "Pluralsight - Introduction to Game Development with Unity (MP4)".